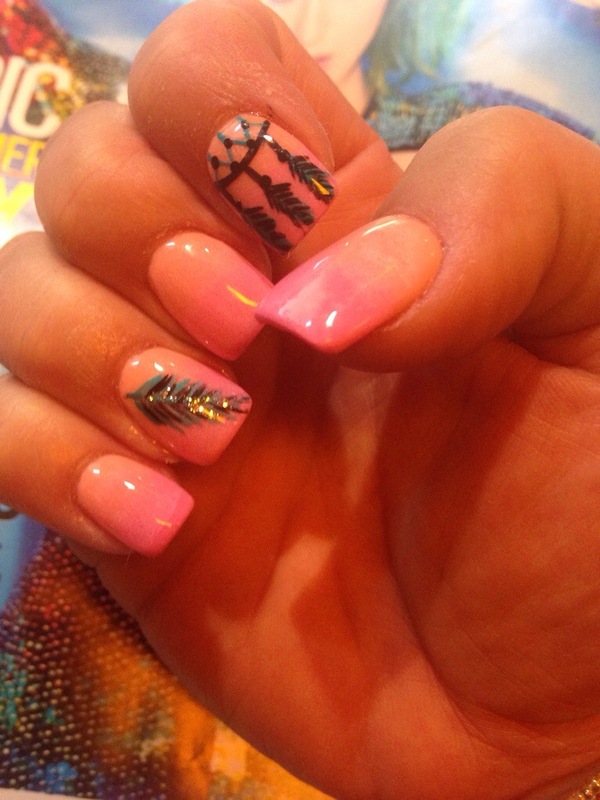 Love my new nails so fun dream catchers and feathers! Thanks me too my new favs! Awesome! Did you get them done or do them yourself? Awesome! So fancy 🙂 Do I also see pink polish being blended into orange, or is it a trick of the light? You are seeing correct 🙂 I did pink and coral together so fun! LOVE THE NAILS!!!! 🙂 I love the colors!! Thanks! I love dream catchers I thought this was a fun idea.